Khalid Ali Al Bustani, the Director-General of the Federal Tax Authority, FTA, has announced that procedures to reclaim Value Added Tax, VAT, for UAE nationals who are building new residences have been simplified with electronic procedures. The announcement was made today through a press release that detailed the latest updates on the VAT refund process for UAE nationals building new residences. Al Bustani said the FTA was committed to adhering to the vision of the UAE’s wise leadership to develop a modern housing system and to deliver the best standards of life and well-being within the framework of care that the state provides, as the focus of development plans and as part of the basic objectives of all initiatives and projects carried out by state institutions. “The FTA is introducing tax legislation that reflects the government’s directives to ensure the well-being of UAE citizens. With this in mind, we have provided a clear and transparent set of standards and criteria to facilitate VAT recovery on the building of new residences by UAE nationals,” he added. Given the leadership’s keenness on ensuring housing stability for all segments of society, the UAE legislator said he has taken special care not to raise the burden on the UAE’s citizens and residents. The supply of commercial real estate (sale or rent) is subject to the basic rate of VAT 5 percent, except during the first three years of construction, when it is subject to 0 percent. He pointed out that supplying a housing unit for the first time within the first three years of construction is subject to zero-rated VAT. All subsequent supplies of the same unit are exempt from tax, even if the supply is also made within the first three years of completion. 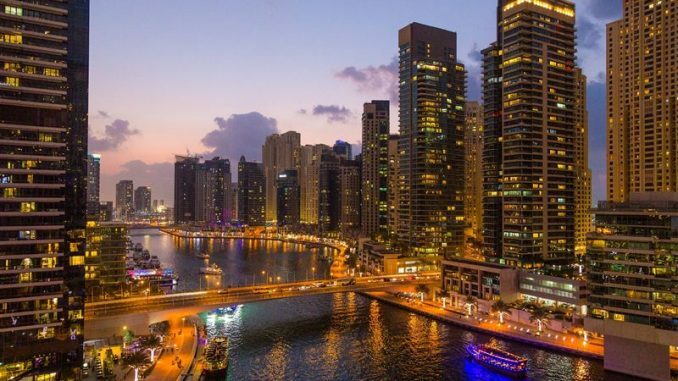 This is meant to equalise VAT treatment for home builders, as a result of which UAE nationals can now refund VAT incurred in the construction of new residential units. Al Bustani also said the authority has identified specific criteria and documents that must be attached to requests to reclaim VAT, to ensure that VAT recovery from the construction of new housing is provided only to citizens who meet the conditions. He added that accurate procedures were being implemented to prevent any attempts to evade taxes. The guide offers a simplified breakdown of the procedure followed in refund requests regarding ‘VAT for Building New Residences by UAE Nationals,’ as well as the documents required by the FTA. The authority noted that the refund procedure, which can be completed on the FTA website, has three key conditions: the applicant must be an Emirati national, the monetary cost in question must have gone towards financing the construction of a new home to be used exclusively as a residential unit for the applicant and/or their family, and the VAT refund only includes the money spent on constructing the unit, such as the amount paid for building materials. The FTA also reiterated that the request must be submitted within six months of the date of completion of construction, which precedes the date of occupancy of the building. Otherwise, it must be submitted within six months of the date of issuance of a certificate of completion for the building by competent authorities or by another date determined by the authority. The FTA stated that the recovery request procedure is carried out through four simple electronic steps. First, one must download the VAT refund form available on the FTA website. Second, the form must be completed, printed out (as handwritten forms are not accepted), and signed. The third step consists of scanning the completed and signed form, along with supporting documents, and then submitting them in PDF format to [email protected] within the six-month period following the completion of the construction work. The supporting documents include a copy of the applicant’s passport and Emirates ID, as well as the paperwork proving his/her ownership of the plot of land in question, such as utility bills, which must also include the date of completion. The fourth step requires applicants to submit the request, including the reference number, blueprints, and invoices, to the FTA or the verification bodies accredited by the authority, as stated on its official website. These entities can issue official ‘Verification Reports’ stating the amount of taxes paid versus the recoverable amount. The request needs to be received by the FTA within 15 days from the date the invoices are issued. Following submission, applicants will be sent an email to confirm that the authority has received the documents. Another email will be sent within five working days to inform them whether they are entitled to the refund. Those declared eligible to recover their taxes will need to provide the reference number issued by the FTA for the application in question. One of the basic conditions for the recovery of the tax on expenses is that these expenses relate to a newly-built building exclusively used as a residence for the applicant and/or his family. Claims involving payments made on contractor services, including services provided by builders, architects, engineers, and similar services, are limited to those usually provided by construction contractors in residential buildings or residential construction sites and should be necessary for the successful completion of the construction process. Furniture or electrical appliances are not included. “Global tax practices have underscored the importance of extending VAT on goods and services, reducing exemptions and exceptions in the system to preserve tax revenues and prevent tax evasion practices,” Al Bustani said. “It would be difficult for contractors and construction consultants involved in the procurement process to track what is exempt from VAT. This is why the authority cannot allow the contractor to determine when the tax is collected, as it could lead to the possibility of tax evasion,” he added. Al Bustani said the authority’s keenness to ease compliance procedures imposed on citizens and contractors is shown by the fact that refund applications and related documents are required to be submitted only once the construction of their residences has been completed, rather than multiple times throughout the construction period. He also highlighted the fact that a VAT refund application is approved 20 days from the date of receipt of the application and supporting documents, with an additional five working days for the delivery of the reimbursement to successful applicants.